In today’s busy world, spending a lot of time in the kitchen is not something that anyone would like to. Thankfully, kitchens are becoming more and more technologically advanced with each and every passing day. Since the invention of the convection oven, these kitchen appliances have brought a great revolution in the kitchen operations. A convection oven can not only cook your food faster by up to 25 percent faster but can also perform a variety of cooking methods including roasting. This is why you might just want to go out and get one by the end of this article. Want to know the best countertop convection ovens available? Here is everything you need to know. But before diving into details, what is a convection oven? It is an oven that has both a fan and an exhaust method. The two part system helps the air to circulate evenly so that you can end up with a delicious cook. What are the characteristics of a desirable convection oven? Energy Saver: A good convection oven should cook the food properly while using as less energy as possible. Smooth Cooking: A great convection oven should be safe to the chef using it. Its fan should also work properly. Fast Cook: In a desirable convection oven, the hot air is evenly distributed ensuring the food is cooked at a faster rate. However, if you are looking for a great bargain for your money then you might need to shop around a bit longer. Fortunately, I have decided to give you a brief insight into some of the best countertop convection ovens to point you in the right direction. With that, here is a review of the top countertop convection ovens in 2018. This is probably one of the best convection ovens currently in the market. From the nine factory pre-set functions to the 1800W power, this is a well constructed unit with all that you may want in a convection oven. The Breville Smart Oven comes with an Element 10 technology, an innovative feature that allows for a more accurate regulation of the heat. This system works like an adjustment switch that increases and decreases the wattage to your preferences with the ease of turning a simple knob. The heating elements are composed of quartz to allow the unit to respond more rapidly to changes in the heat requirements, unlike the metal elements in other convection ovens. The non-stick materials used to treat the inner walls makes cleanup easier. The magnetic rack ejection system is a patented feature that gives you magnets on the sides of the door that pulls the wire rack halfway out of the oven when the door opens. This makes it easier to access the interior while also preventing annoying little burns when you remove things from the oven. 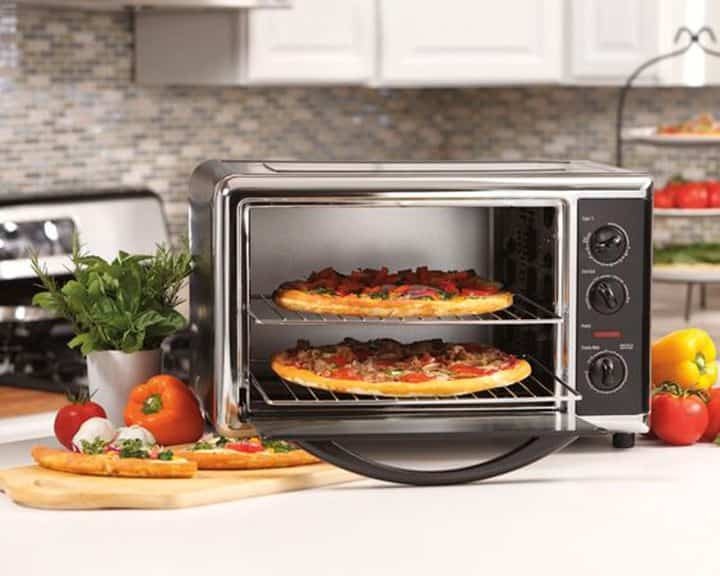 This countertop convection oven will make you enjoy full-size oven performance on your kitchen counter. It comes with nine memory pre-set factory settings to allow variety in your cooking and exceptional cooking results. This includes Asado roast that adjusts the temperature for a super roasting performance. Featuring a 12-inch capacity, it is big enough to handle all your cooking needs, from pizza crusts that are crisped to golden brown bagels. You can easily fit and cook two 12 inch pizzas or Cornish hens or toast up to six slices of bread all at once. There is a keep warm setting and memory settings for reheating and a 60-minute timer for the more involved culinary actions. Its display is digital and shows the temperature and the cooking times with adjustment knobs that turn easily. The interior comes coated with a non-stick lining for easy cleanup. 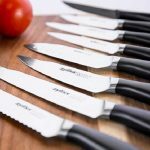 If you’re looking for a reasonably priced convection oven with no features sacrificed for the price, the Oster countertop 6 slice is the best oven for you. 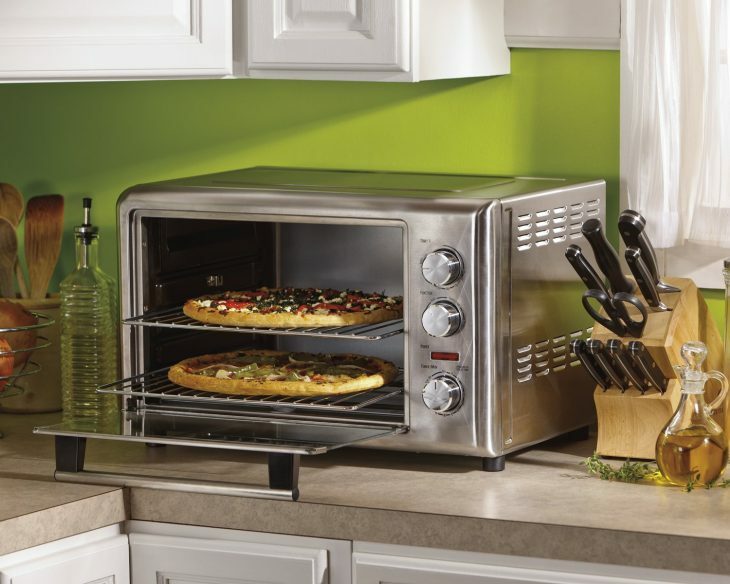 This oven comes in brushed stainless steel with a transparent door. To the right of the door includes three handy dials. There are digital controls to provide you with precise cooking time and temperature so that you can take the guesswork out of your cooking. 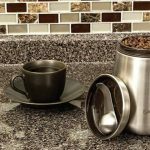 The overall size is 18 x 14 x 10 inches which means that it will easily fit on most countertops without any problem. It is also large enough to fit a 12-inch pizza or even a whole chicken. Some other included features are two baking racks and two rack positions for convenient multi-level cooking. You can set the temperatures up to 450 Fahrenheit and there is a 60-minute timer that automatically shuts-off. If you don’t want to dig deeper into your pockets but is looking for high quality oven with all features and fast cooking, this convection oven is well worth your time. If you are looking for an oven to replace your traditional one entirely, the Black+Decker comes with a solid and reliable countertop convection oven that will be great for you. 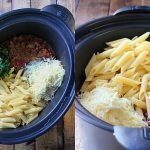 Whether you are looking for one to cook dinner for just one or even the whole family, this appliance is large enough to fit a casserole dish, a 12″ pizza, and a whole chicken without any hassle. With its technologically advanced design comes a comprehensive manual to help clear all your doubts. It features eight one-touch functions for cooking a whole range of foods including cookies, pizza, bagel, and frozen snacks. 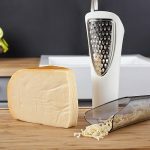 It also features a non-stick interior for faster cleaning. This countertop oven is well designed with the extra deep interior to fit things like casserole dishes, whole chickens and many more. It features high and low oven rack positions to provide the versatility needed for great results. There is a digital timer for short jobs like boiling and toasting recipe. 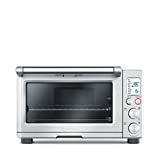 This is one great convection oven that offers cooking versatility at the touch of a button. A Cuisinart CSO-300 Oven is one of a kind of oven that includes all the functionality of the professional steam oven based on countertop footprint. It can be grouped under the countertop convection oven’s type that has full steaming capability. The steam heat it produces cuts the cooking time by around 40%. With it, you can choose from a variety of functions including the 9-single and combination ones. You can poach or steam rice, poultry, fish or any type of vegetable. If you use to bake or broil functions in combination with steam, you can create beautifully browned roasts on the outside but juicy and moist on the inside. It comes with special settings that enable you to proof homemade donuts, pretzels, rolls and breads. The Cuisinart CSO-300 Oven ability to bake fast while producing quality bakery results makes it be adored by many. It can produce uninterrupted and steady steam for 120 minutes. Has a specialized proofing technology that proofs and bakes bread much faster and better. Possesses unique steam broil and steam bake functions as well as the usual functions of the old-fashioned countertop toaster oven. 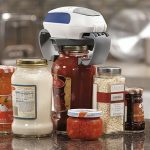 It can accommodate a 12-inch pizza or a whole 4.5-pound chicken and reheats the foods without completely drying them out. Has a drip tray, crumb tray, broiling rack, baking pan, wire rack and a 47-ounce removable water reservoir. The CSO-300 oven has multiple steam cooking settings that effectively expands the functionality of the regular toaster oven. The CSO-300 oven settings like broiling and toasting perform at the same level or just slightly better, though rarely when compared to the less expensive ovens. The creative home chefs should give the Cuisinart CSO-300 Oven first consideration when looking for a versatile and powerful alternative to their standard oven. But those looking for an oven to heat up Red Barons and Pop-Tarts should consider buying something cheaper. The Oster TSSTTVRB04 6-Slice oven has a brushed stainless-steel housing and it offers more than its refined good looks. Its convection technology enables it to distribute heat evenly when cooking to give excellent results. It comes with a generously sized interior that provides enough space to house a large frozen pizza. More so, its adjustable rack may be put in two distinct positions to allow for more customizable space when baking chocolate-chip cookies or cooking a tall roast. 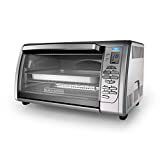 When using this countertop oven, you have three user-friendly control dials to choose from for selecting toast, bake or broil function. You can adjust the temperature for up to 450 degrees Fahrenheit. Also, the oven has a 60-minute timer that can be configured to run continuously or to auto shut-off automatically. 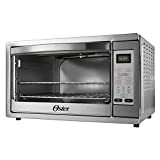 Some of the other Oster TSSTTVRB04 6-Slice oven highlights include a quick-clean interior, wide easy-grip door handle, all’ indicator light and adjustable-heat broiling functionality. In addition, it comes with a transparent door that you can use to check the status of your meal at a glance. Home chefs should consider using Oster TSSTTVRB04 6-Slice oven as an extra second oven when in need of more cooking space during birthdays and holidays. Also, they can use it as an alternative to the full-size oven because it is more energy efficient. The Hamilton Beach 31103A oven is a compact and energy-efficient convection oven that offers performance similar to that of a full-size oven. What does that mean? 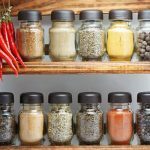 It is small enough to fit properly on your kitchen counter however large enough to enable you to prepare for any type of meal or party. It is designed with both the practicality and kitchen style in mind. Additionally, it is packed with adaptable cooking possibilities that range from roasting an entire 5 lb. pork, roast or chicken to broiling salmon to crisping cookies to baking cakes. With this oven, you won’t need to spend more time cooking separate meals for those who are pickier. What’s more, the adjustable, wide interior cooking racks offer double the space for preparing multiple foods at a go. Has extra-large capacity that accommodates 5 b. chicken, two sheets of cookies, two cake pans, two 9″x13″ casseroles or two 12″ pizzas. Has a broil rack, small baking pan, large enamel-coated baking pan and two oven racks. 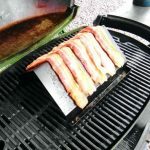 Its broil rack can be stacked directly on the small baking pan when roasting meats. This oven function dial that can be adjusted to any of the four pre-programmed settings including Rotisserie, Broil, Convection and Bake. According to many home chefs, the Hamilton Beach 31103A oven is ideal for anyone and can be used anywhere at any time. The oven can offer snack enthusiasts some added treat, be indispensable for apartment dwellers, provides better cooking options for the elderly and can even replace the microwave that you keep in your office. Convection countertop ovens come in multiple brands with different features. Some of these brands offer excellent quality while others sacrifice some few features for a desirable price. Hopefully, this review will help you get started regardless of whatever model or features you are looking for. 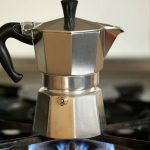 With this list of best countertop convection ovens, there is surely one that will be a great addition to your kitchen. The reviews are based on practical experience, research and user’s feedback. Thus, you can be sure that the discussed ovens may be what you have been missing in your kitchen for some time now. Lastly, those who adore baking food on a daily basis should aspire to get one of the ovens as they are ideal for everyday use. But before picking one of your choices, go through the reviews again. Considering the oven’s capabilities, it can be worthwhile to have one in your kitchen.